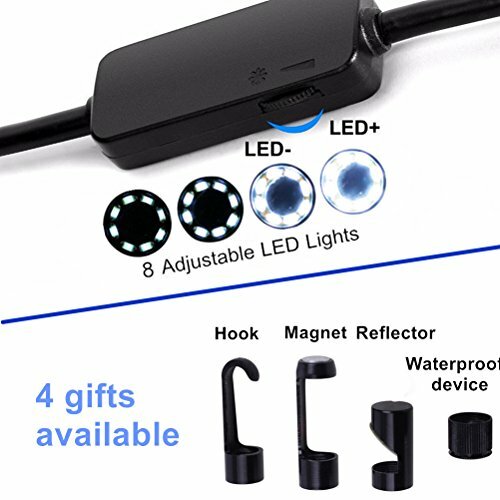 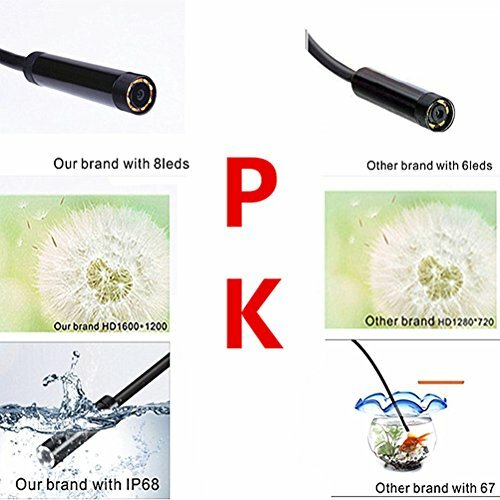 【1200P HD CAMERA& IP68 WATERPROOF】99% wireless endoscope inspection tools are 720P. 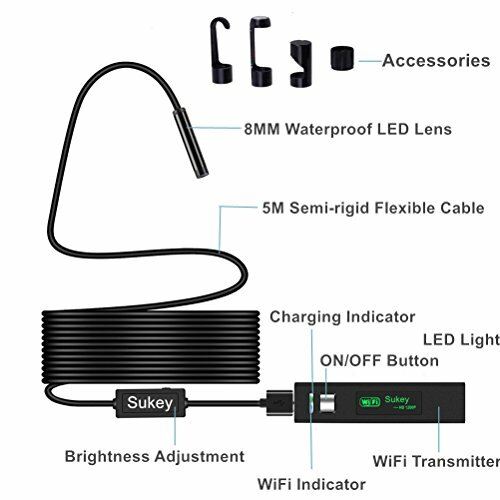 This endoscope iPhone had updated to 1200P with 8 LED adjustable brightness 8mm OD lights,to improve definition and visibility in dark or low-light areas. 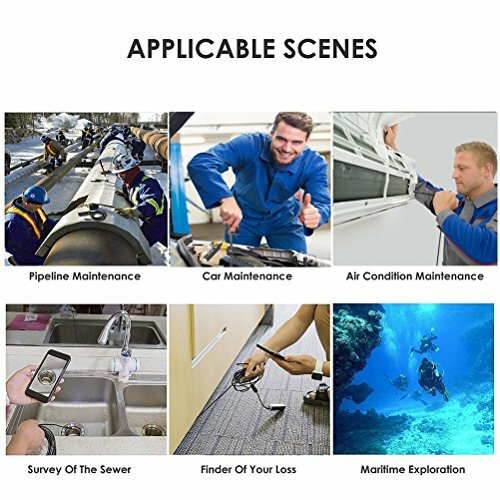 The inspection camera can be used under water(1.5-30m), gaps ,holes and hard-to-reach or hard-to-see area. 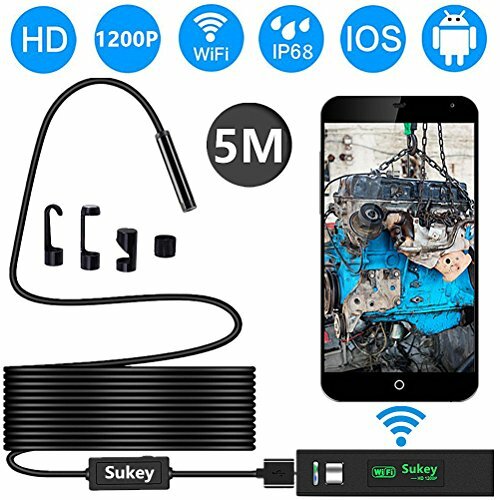 Using this USB Endoscope Tube you can see the drain pipes and cavities by using your smartphone. 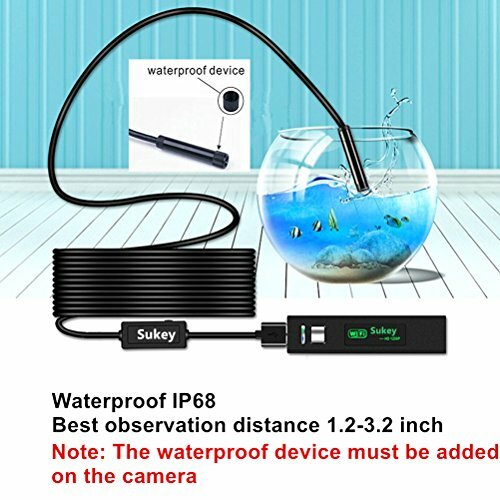 It features a waterproof 7mm camera capable of transmitting 640×480 visuals at 30 frames per second.